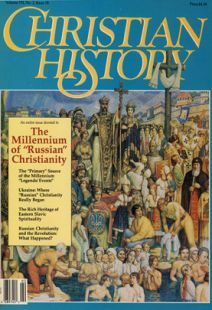 Introduction to the Millennium of Russian Christianity. History of Russian Christianity: Did You Know? Fascinating facts about Russian Christianity. Icons are produced according to strict, widely held standards, by artists who must train for years. Read for yourself the chief accounts upon which the millennium celebration is based; while these much—loved chronicles admittedly contain a good bit of legend, they are still the best history we have. Why, all of a sudden, would an officially atheistic confederation of republics like the USSR choose to celebrate, in full pomp and grandeur, a thousand years of Christianity on its soil? Can a king-ordered mass baptism of his nation’s citizens really bring about their genuine conversion to Christ? What are we to make of Christ’s command to “make disciples of all nations"? The “conversion” of Kievan Rus’ was a king-commanded, soldier-implemented “Christianization” of a people. So was it valid? Kemmerer says it was, and offers a rationale that focuses on problems with the stereotypical Western concept of salvation and how to carry out the Great Commission. What is Eastern Orthodoxy Anyway? It’s being much-mentioned and much-lauded during all the millennial celebrations, but what, really, is this “Christian” faith that’s so unfamiliar to most Western Protestants? Here’s an introduction. Chronology of Russian church history. Though practically unknown to most Westerners, the history of Orthodox spirituality among the Eastern Slavs of Ukraine and Russia is a deep treasure chest of spiritual exploration and discovery. Russian Christianity and the Revolution: What Happened? Russia and the surrounding Slavic countries were at one time considered among the “most Christian” of nations. So where was the church during the revolution that made the USSR atheistic? The Soviet government reports that religion is definitely on the decline in the USSR. And given the persistent harassment of the state, one might expect that—but trustworthy sources say it isn’t so. The Soviet Union promises its citizens freedom of conscience and religion.